Even though Jim has been a teacher for 30+ years, he remembers clearly what it was like to be a student. He can still recall the long and grueling process of writing a paper and the feeling of anticipation to get it back to see the grade. Like the rest of his classmates, he would skim past the teacher’s red scribbles and go straight to the last page to see what score he got. When he first started teaching, Jim followed the same cycle: Collect research papers, spend hours grading them, hand them back and watch as his students ignored his comments and go straight to see their grade. To be honest, I don’t even know if they could read my writing. After a few papers, my writing got sloppier and sloppier. I was getting really tired of writing, so I started doing briefer statements. Then, I would give it back to the kids, and I don’t think they read what I wrote at all. It was just not working. Thinking there has to be a better way, Jim went online to see what free tools he could use to make the feedback process more effective. That’s when he found Kaizena. With the voice comments feature, Kaizena was exactly what Jim needed. He could quickly make a highlight and record himself speaking his feedback instead of scribbling it! To his surprise, after a few uses of Kaizena he discovered another benefit that he wasn’t expecting. But with voice comments, grading has become a way for me to build and further my relationships with my students. Not only do they get the pointers and tips they need to improve their writing, but the entire process is a way for us to bond with each other! Writing becomes more like a collaboration instead of a one time event. 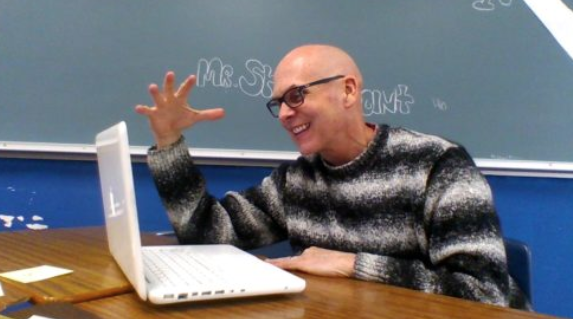 By recording himself as he reviews his students’ writing, Jim is able to express his thoughts more quickly and in a more personalized way. Through his voice and tone, he’s able to encourage his students in a much more authentic way. Many of Jim’s students have told him how much they enjoy getting feedback this way, and how it feels just like he’s sitting there next to them to help them write. How has Kaizena improved the feedback process in your classroom? Let us know by emailing shirley@kaizena.com and you could be featured in a future post! If you’re interested in learning more about increasing engagement and building relationships, check out Jim’s book and podcast where he goes into more details!